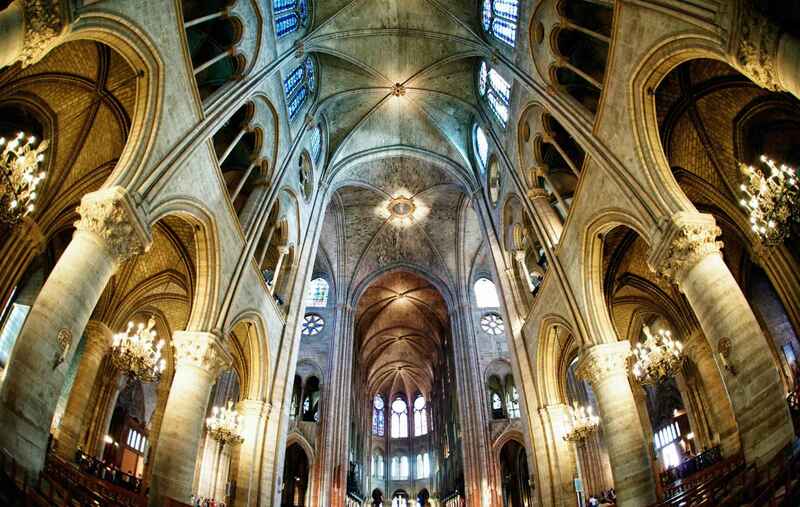 Notre-Dame de Paris ; meaning "Our Lady of Paris"), also known as Notre-Dame Cathedral or simply Notre-Dame, is a medieval Catholic cathedral on the Île de la Cité in the fourth arrondissement of Paris, France. The cathedral is widely considered to be one of the finest examples of French Gothic architecture, and is among the largest and most well-known church buildings in the world. The naturalism of its sculptures and stained glass are in contrast with earlier Romanesque architecture. As the cathedral of the Archdiocese of Paris, Notre-Dame contains the cathedra of the Archbishop of Paris, currently Cardinal André Vingt-Trois. The cathedral treasury contains a reliquary which houses some of Catholicism's most important relics, including the purported Crown of Thorns, a fragment of the True Cross, and one of the Holy Nails. In the 1790s, Notre-Dame suffered desecration in the radical phase of the French Revolution when much of its religious imagery was damaged or destroyed. An extensive restoration supervised by Eugène Viollet-le-Duc began in 1845. The Notre-Dame de Paris was among the first buildings in the world to use the flying buttress. The building was not originally designed to include the flying buttresses around the choir and nave but after the construction began, the thinner walls grew ever higher and stress fractures began to occur as the walls pushed outward. In response, the cathedral's architects built supports around the outside walls, and later additions continued the pattern. The total surface area is 5,500 m² (interior surface 4,800 m²). Many small individually crafted statues were placed around the outside to serve as column supports and water spouts. Among these are the famous gargoyles, designed for water run-off, and chimeras. The statues were originally colored as was most of the exterior. The paint has worn off. The cathedral was essentially complete by 1345. The cathedral has a narrow climb of 387 steps at the top of several spiral staircases; along the climb it is possible to view its most famous bell and its gargoyles in close quarters, as well as having a spectacular view across Paris when reaching the top. 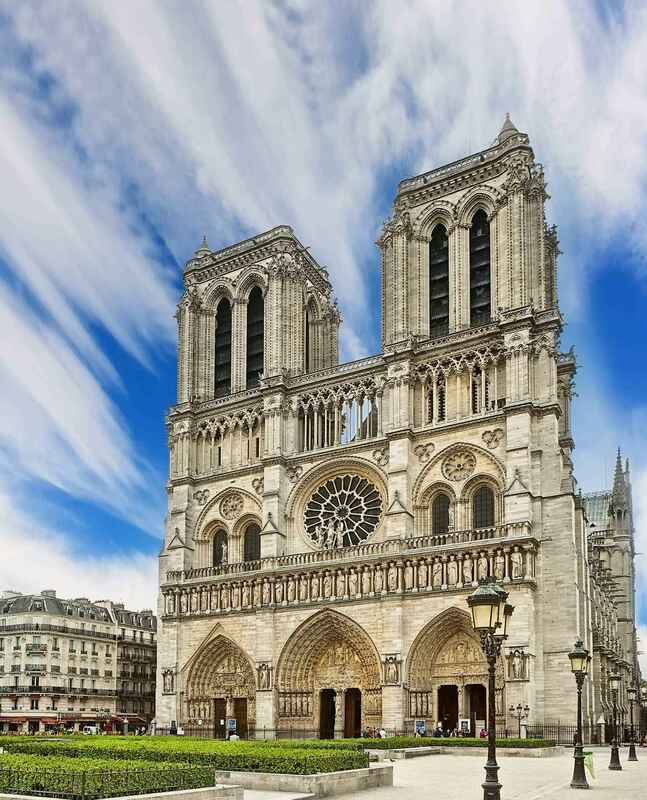 Notre-Dame de Paris | eTips Inc.